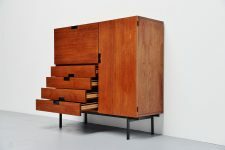 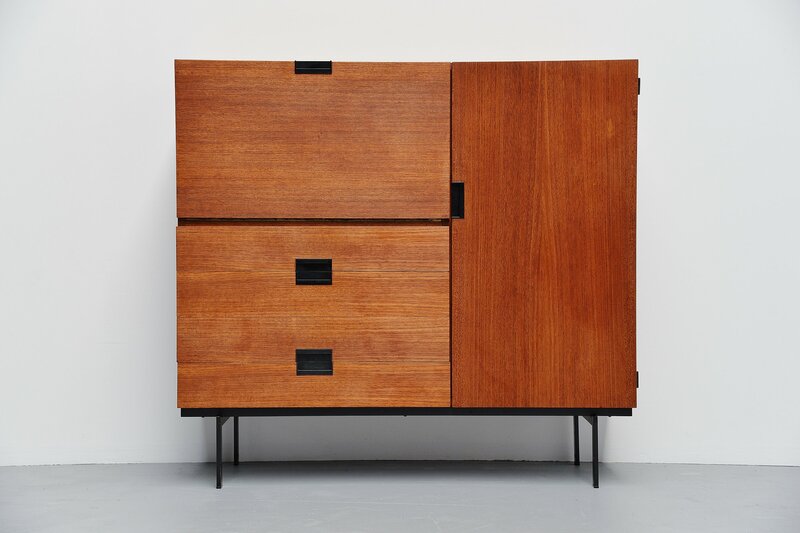 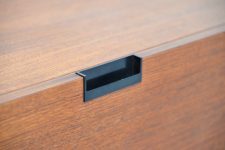 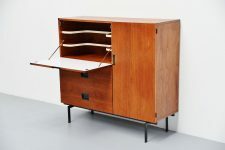 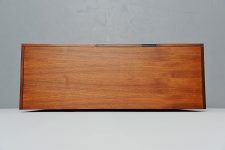 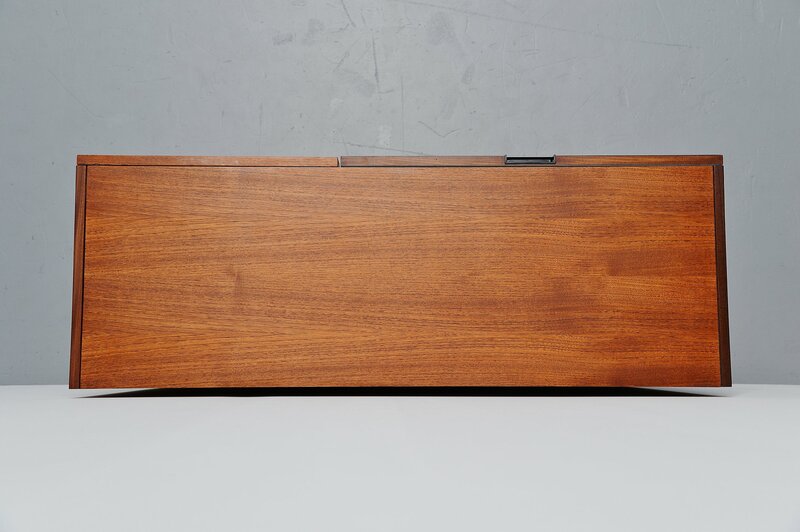 Very nice teak wooden cabinet designed by Cees Braakman for Pastoe UMS, Holland 1958. This is for model CU01 and has a drop down door on the left with 2 shelves behind for glasses and space for bottles. 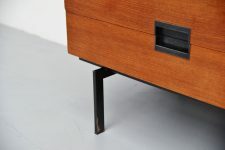 Below there are 4 drawers with typical bentwood insides. 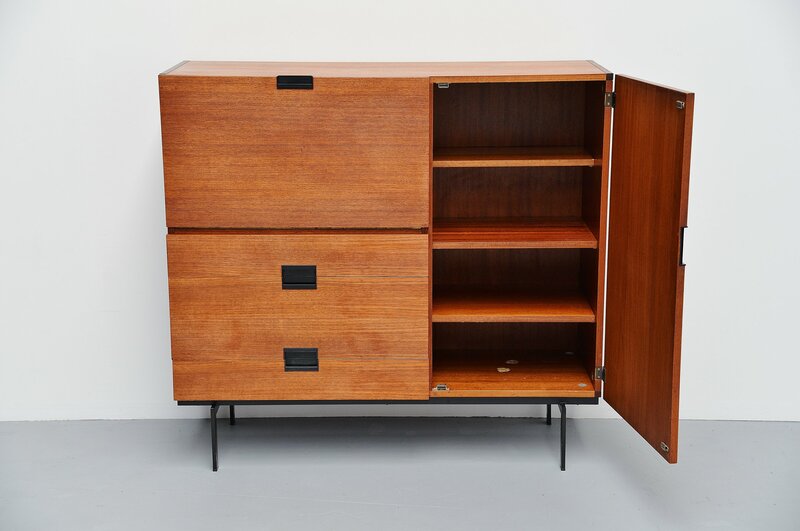 It has 1 big folding door on the right with 3 shelves behind. 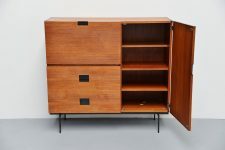 This is a nice version fully in teak wood. 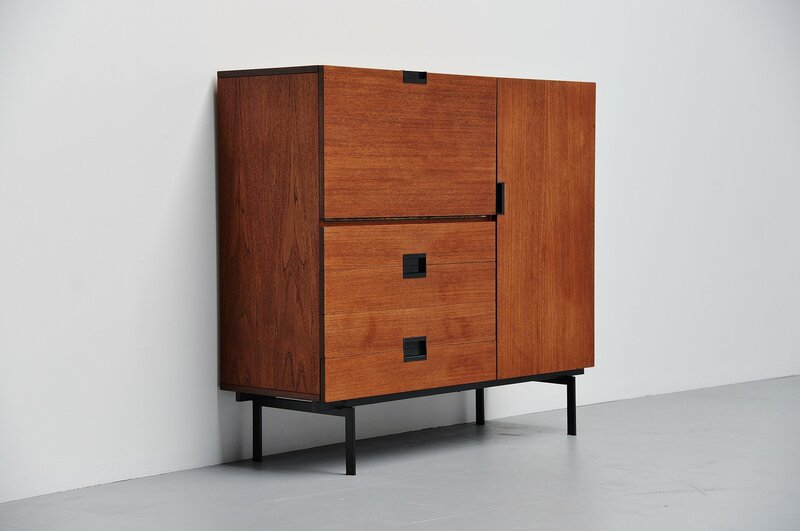 This cabinet is from the famous Japanese series by Pastoe designed in 1958. 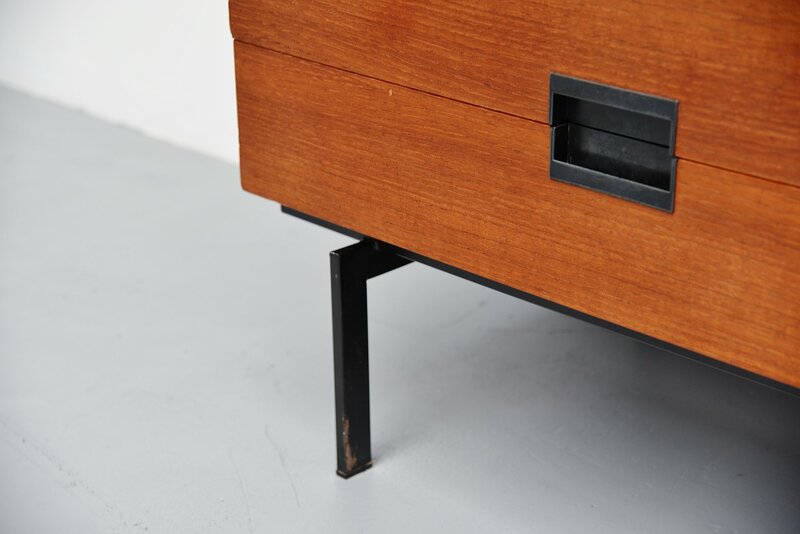 This has black plastic typical Japanese grips and a black metal lacquered frame. 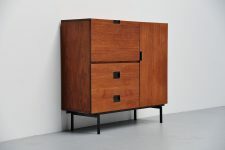 The cabinet is in good original condition with minimal patina from age and usage.